Everything you'll need to provide electricity to your tent and start enjoying some home comforts whilst camping! 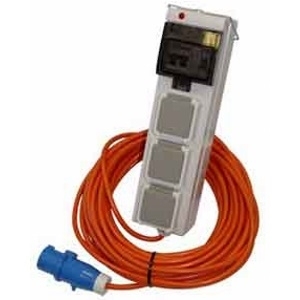 We also have a large range of adaptors for powering all sorts of 12 volt and mains appliances. If your camp site does not have any electric hook ups, then you may want to power somes mains electrical devices from a 12 volt leisure battery - in which case we stock a range of inverters.